If you’re planning an Australian getaway, then look no further than this must-read list of the top 10 best places to visit in Australia to help you plan! Australia is a land of extremes. A country and a continent all in one, you may be overwhelmed by the wide array of attractions. You can choose to visit cosmopolitan cities, vast stretches of untouched landscapes, or vistas of staggering beauty and unparalleled biodiversity. 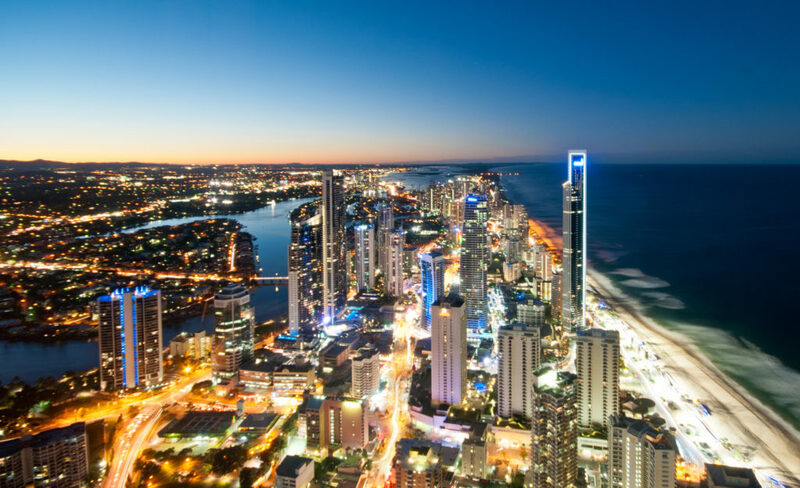 If you have never been, why not start with a handful of the most popular attractions just to get a taste of life Down Under? Here is a list of ten of the best places to visit in Australia. Once you experience even a few of these spectacles, you will want to extend your stay- or come back again soon to this awe-inspiring place. Why not start your trip to Australia in its biggest city, Sydney? The capital of New South Wales, Sydney has a population of over 5 million people. Originally founded as a penal colony in the 1780s, it is now a hub of art, commerce, and vibrant Aussie life. Whether you take a tour, have a drink in one of its numerous bars, or watch a performance, the Opera House is a wonderful way to open your eyes to all of the surprises Australia has to offer. No trip to Sydney is complete without a hike up the fabled Harbor Bridge. The largest steel arch bridge in the world, this iconic structure is locally referred to as “the Coathanger.” There are a variety of options for walking, climbing or cycling across the Bridge, depending on your abilities and affinity for heights! The Harbor Bridge is one of the best places to visit in Australia to get a full panorama of one of the country’s most jaw-dropping views. Bondi Beach is another one of the most popular places to go in Australia for first-time visitors and locals alike. The beach is a surfing mecca, so check it out if you like to cruise the waves. However, you should note that Australian beaches can experience some severe conditions like riptides, deadly jellyfish and even sharks on occasion. Make sure you heed the lifeguards and stay with your friends so visiting Australia doesn’t turn into a dangerous pastime for you! Uluru, formerly known as Ayer’s Rock, is not only one of the best place to visit in Oz (as Australia is fondly called)- it’s one of the top wonders of the whole world. This massive sandstone monolith is geologically significant, in addition to being a sacred symbol for the country’s Aboriginal people. Uluru is smack in the center of the continent’s vast Outback, so it is not necessarily easy to get to. If you are road tripping across this landscape, know that this site is over 250 miles away from the nearest large town. You need to prepare yourself for the extreme heat and lack of gas stations. The Great Barrier Reef is the largest coral reef in the world and it is considered a paradise for scuba divers and snorkelers. Sadly, scientists have observed that the reef is suffering from the effects of pollution, so you should try to see this wonder of the world while you still can. The reef is inhabited by a huge array of marine life including soft and hard corals, more than 1,600 species of tropical fish, sharks, dolphins, turtles, rays, and giant clams. Tours of the reef embark from cities in the north part of the country like Cairns. If you are on a budget, think about staying in a park or campsite from where you can take excursions. This website can guide you to cost-friendly accommodations in the area and throughout the region. One great road trip from Sydney is to Blue Mountains National Park. Another site revered by the native Aborigine population, tourists love to go there for hiking, camping, rock climbing and bicycling. Famous sights include the Three Sisters peaks and Wentworth Falls. Some of the cliff-side walks in this Park offer breathtaking views of the landscape in addition to spectacular bird watching opportunities. Another one of the coolest places to visit in Australia is Melbourne, the country’s second-largest city. This bustling urban metropolis is full of great restaurants and bars, shopping and culture. It is also home to the famous horse racing event called the Melbourne Cup, held annually at Flemington Racecourse. Kakadu is the largest national park in the country, being roughly the size of Slovenia. The park showcases the continent’s incredible biodiversity: its wetlands, rivers and sandstone escarpments are home to thousands of flora and fauna. It’s estimated that in the park live over 2,000 plant species and wildlife including many species of crocodiles, frogs, turtles to birds. In Kakadu, you can also see prehistoric Aboriginal rock paintings. If you love animals, put Kangaroo Island on your list of places to go in Australia. In addition to the island’s namesake, you may also see penguins, koala, seals, and echidna, to name only a few. This wildlife preserve outside of Adelaide is also famous for its cuisine and wine, so it’s worth a visit for more than just the furry creatures. Fraser Island is another tropical paradise in Australia, this one off the coast of Queensland. It calls itself the only place in the world where a rainforest grows in a sand dune. If you love beaches and camping, this idyll is worth the trek for its swimming, multicolored sands, and panoramic views from Indian Head cliff. Many people try to arrange to spend at least a few weeks in the great country of Australia to even scratch the surface of everything this amazing place has to offer. No matter what your budget or interests, there is sure to be an Aussie vacation which will fulfill all your dreams. For more tips on exploring the world, check out the travel tips on our blog.